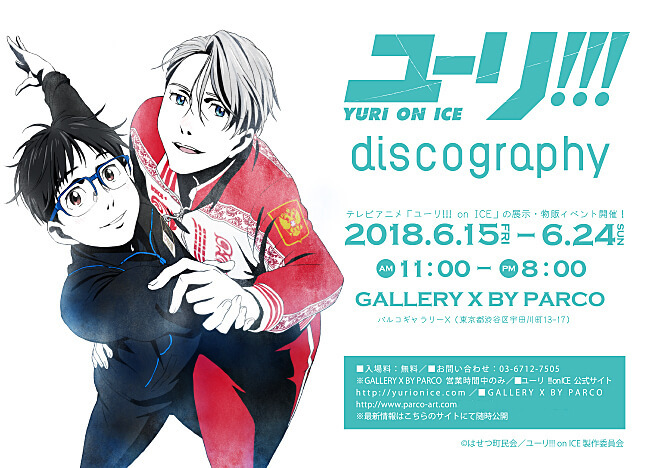 An event will take place at GALLERY X BY PARCO in Shibuya from June 15 to 24 for the international hit anime Yuri!!! on ICE with displays and merchandise focused around the cover illustrations of the series’ CD releases. Yuri!!! 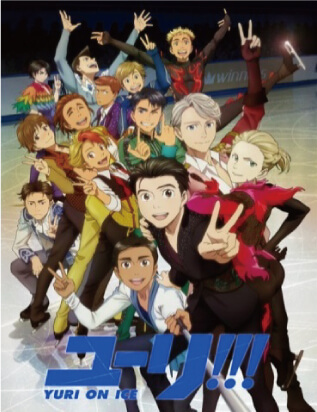 on ICE (2016) is an anime series centred about figure skating. The series went on to be a hit across the world. It was streamed by Crunchyroll, and Funimation streamed a dubbed version. The series also gained a lot of fans within the figure skating community, leading to some to perform to music from the show. Giant panels will be displayed at the event of past packaging of the anime, as well as event packages and soundtrack cover illustrations. 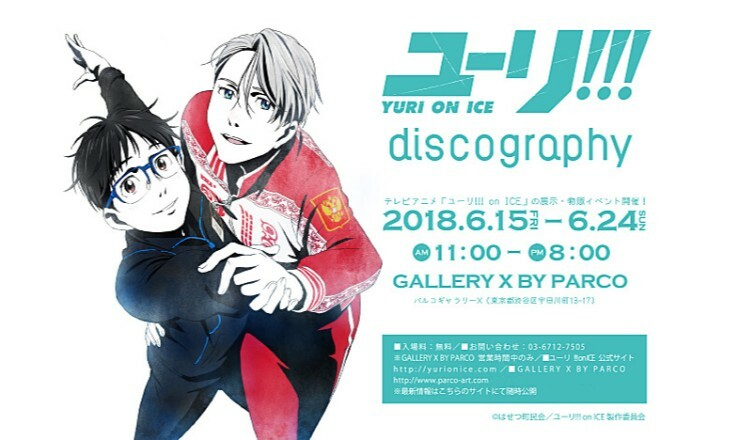 There will be a huge range of merchandise, including merchandise using the CD jacket illustrations for the first time, as well as new products with illustrations of Makkachin. Skate into the world of Yuri!!! on ICE and get your hands on some new goodies and relive the series through the myriad of displays.